As the oldest franchised restaurant chain in the country, this nearly 100-year-old brand suffered from low brand awareness. Its franchisees were wary about spending money on national ad campaigns, deeply attached to traditional media outlets like billboards. There was a four- to six-week lag in sales data, all of it self-reported. Online media flights were only about four to six weeks long. There was a limited ability to apply any learnings. Typically, there was a 9- to 12-month wait to apply learning to the next campaign. A&W had fragmented asset types in its system. Menu offerings and promotions varied. Some restaurants were A&W only; others co-branded with KFC and other such outlets. With FDA-mandated calorie counts, A&W learned it had more than 30,000 unique menu items across the country. Many of its restaurants are in super-small towns like Siren, Wisconsin, population 650. 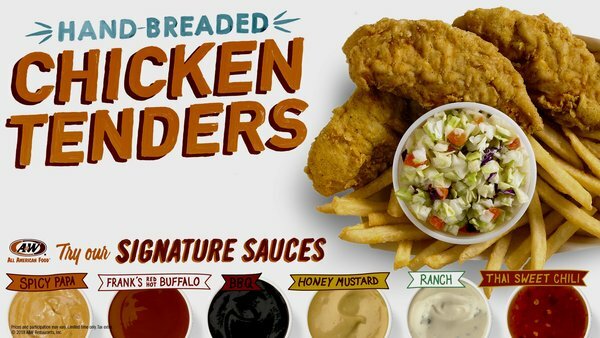 In 2017, A&W promoted for the first time a protein, its hand-breaded chicken tenders, nationally, using social, promoted tweets, display ads and device ID targeting. Then it narrowed the list of competitors to six and focused its engagement tactics not just on driving people to its website but into the restaurants to buy what it was promoting at full price. Then it partnered in October with a company that had been tracking people’s smartphones and by the time it launched its campaign in June, it had about 30 million pieces of data. It watched customers going to an A&W, living near an A&W, and going to competitors. With a device ID campaign just for smartphone overall delivery, it got 14.7 million impressions among 1.3 million exposed unique users. Using 186,000 unique users to calculate incremental lift and setting the total exposed visits at 101,592, it measured incremental visits at 50,705. Bazner said A&W’s return was 2.5 times its investment. Device ID worked very well with the Weather Channel, Gas Buddy and Pandora apps, not so well with Hulu. For 2018, then, the company’s primary focus online is driving measurable foot traffic. As Bazner said, “Once you’ve gone from thinking brand awareness is enough to really measuring foot traffic, you can’t go back the other way.” Other goals include increasing its secondary sales, its brand awareness, its social following and its email list. A&W is segmenting its restaurant list into three groups: urban, off-highway and rural. Profiles of them will allow the brand to put them in the right category to determine media placement. And, for the first time, it is dividing its ad campaign into two flights, using creative messages and calls to action to determine what drives foot traffic for the lowest cost. Attributed 50,705 incremental visits to A&W, resulting in a $1.91 cost per visit and a return of 2.5 times its investment. Drove traffic to A&W online pages; up by 40%; traffic by mobile users up 88%. On average, people spent 77% more time with its ads. Gained 4,500 new social fans, 30,000 new e-club cup members, and added 8 new brand ambassadors to roster. Have your team do a mini-media audit of their smartphones to demonstrate the importance of mobile targeting.